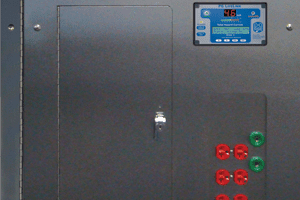 The Standard IDC Isolated Power Panel offers a solution for 120V equipment loads providing power connections in a confined space. 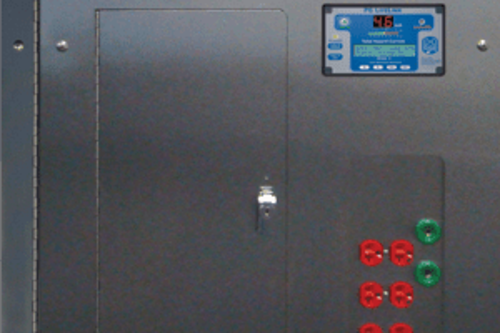 The IDC can incorporate up to seven twist lock ground jacks and/or eight power receptacles on the front of the panel. 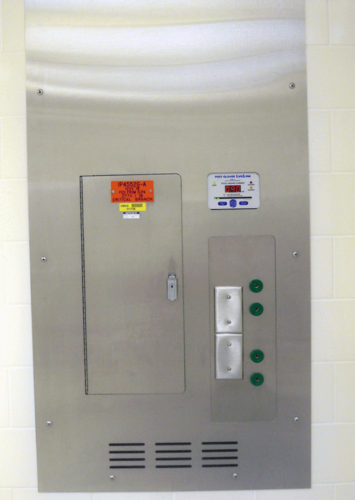 This feature is useful in areas where there is a need for localized power outlets so typically this panel is often installed in hospital ICUs, CCUs, and Trauma/ED. Code (NFPA 70 ‐ Article 517.160) requires secondary circuits to be colored brown and orange, with a distinctive stripe in a contrasting color. The brown wire is connected to the L2 bus and the hot side (brass screw) of a standard NEMA receptacle. The orange wire, L1 is connected to the silver screw where neutral would be connected. Polarity should be maintained throughout the installation. PG LifeLink Isolated Power Systems UL Certification document. 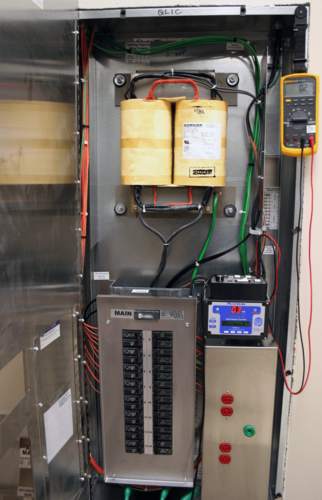 PG LifeLink Isolated Power Panel Seismic Certification document.